Search for your ideal eel! Search for your ideal croquette! 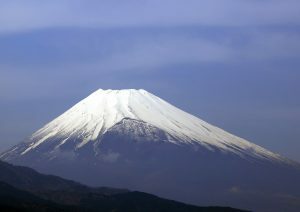 Would you like to climb Mt.fuji from Mishima. There is a bus from Mishima station that will take you to the trail head of Fujinomiya trail (the 5th station on the mountain). It takes about 2hours to Mt.Fuji from Mishima station. Before visiting Mt.Fuji,please don’t forget to visit Mishima! Mishima isn’t only an attractive sightseeing spot near Mt.Fuji,but also serves as a convenient base to visit other magnificent sightseeing spots. Kawaguchiko <=> Mishima line (goes through Fuji Hokuroku parking from July 7 to September 10). ©City of MISHIMA All rights reserved.